Oh, who can ever be tired of Bath! 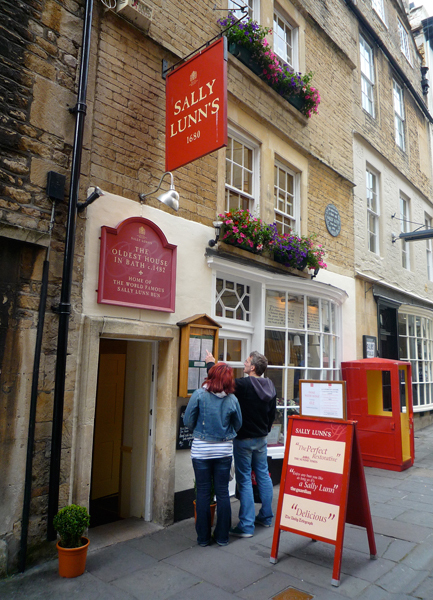 When I lived in the UK I wandered around the lovely streets of Bath for a weekend. 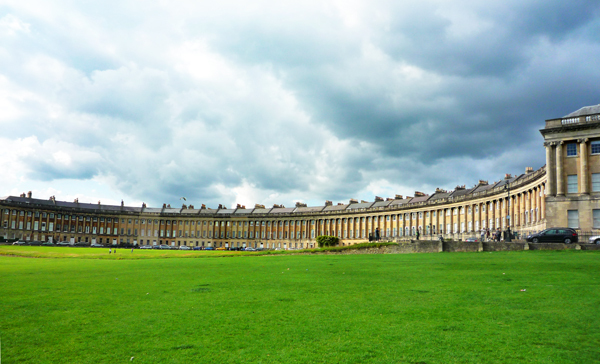 Just like Catherine from Jane Austen’s Northanger Abbey I wonder, who can ever be tired of Bath? This lovely piece of green pasture is marked on an old map as “never to be built upon”. The Bath city layout is sprinkled with circles, squares, and crescents, and even contains one circus. 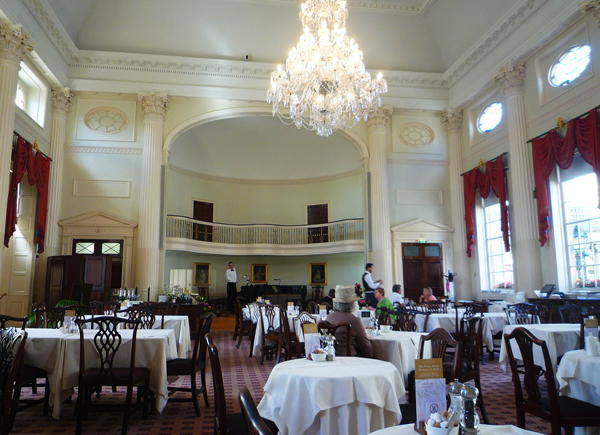 The Pump Room is open for a delicious breakfast, lunch, or afternoon tea. Wander in at breakfast time, after 9.30 am, and the sunny room, with light tunes of violin and piano floating in the air, will be all yours. Try the spa water – it’s not half as ill-tasting as in many other places. These are the “lower rooms” of Jane Austen, where ladies and gentlemen “took the waters”, along with “Oliver bisquits” (delicious but heavy on calories), during the day, and enjoyed conversation and dance during the night. 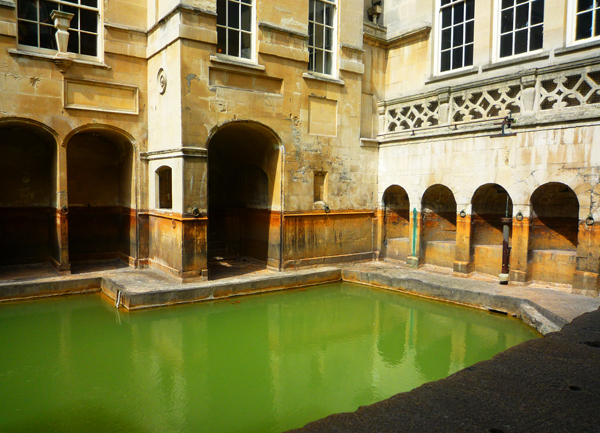 The thermal waters of Bath bubble up from three springs in the Roman Baths, over a million liters per day. 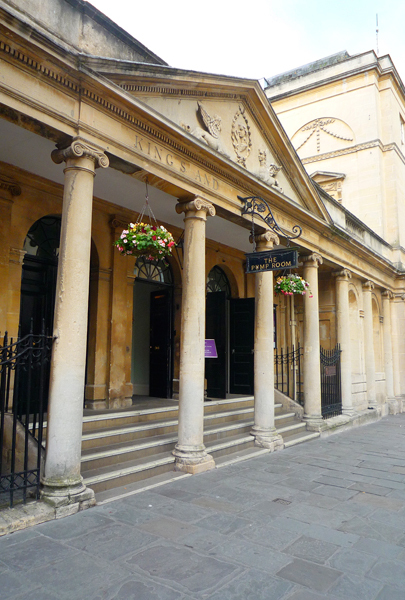 The baths are beautifully restored and the excellent audio tour easily keeps your wandering around for 3 hours. Hoping to dip your toes into the famous thermal water? Finally Bath has a spa again. 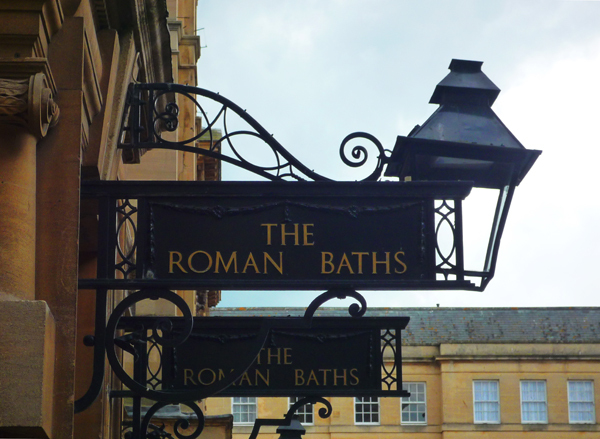 The Cross Bath, and the all-new Bath Thermae Spa, are located behind the Roman baths. Half a day just flows by in the hot thermal waters, aromatherapy steam rooms, spa treatments, lovely restaurant, and rooftop pool. 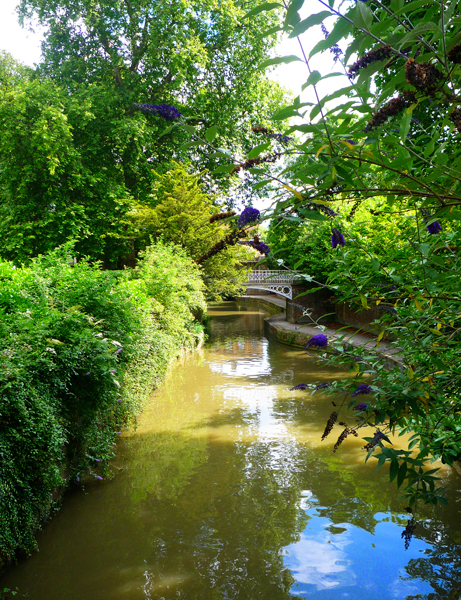 Categories: Travel | Tags: afternoon tea, books, history, sights, United Kingdom | Permalink.